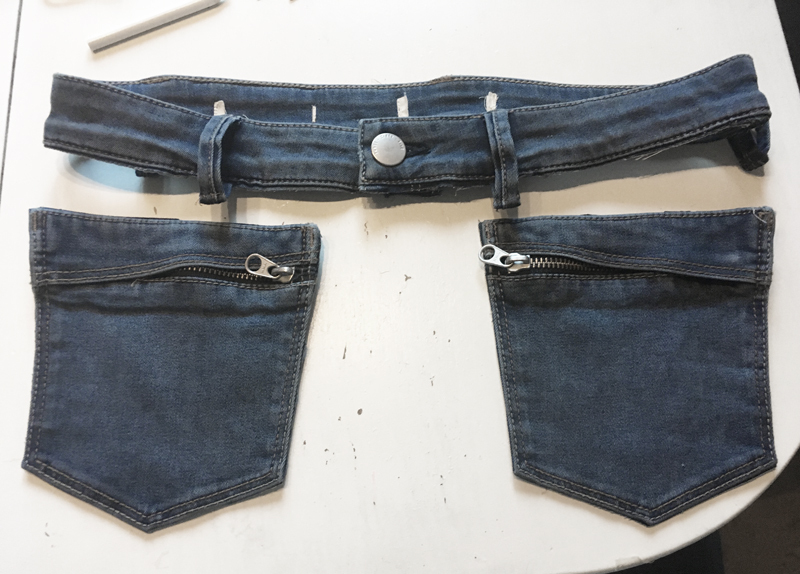 How to upcycle a pair of jeans to a creative fanny pack! Today´s blog post is going to address recycling. The recycling is going to result in one of my absolute favourite accessories; the fanny pack! There are actually really nice looking fanny packs out there in both webshops and the rest of the universe, it is just to dig through a lot of horrendous ones first ( or learn how to do one fabolous one yourself). 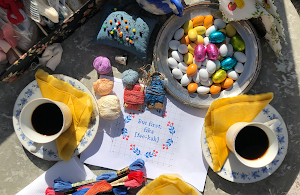 I am going to divide the process into two blog posts. In the first part I will share the pure practical part of HOW TO put the fanny pack together. Part two will show examples of how to embellish your fanny pack. For the imaginative people, the area of application is endless so the fanny pack is definitely worth the hours of it's labor. This was my starting point; a pair of denims bought from a swedish second hand store. Since I am crafting the fanny pack for myself it´s important that the size in the waist is right as I am using the waistband as the basis to my pockets. Each pocket will be attached by two of existing straps. In this case the jeans got five straps and therefore I leave one of the straps untouched. I unstitch the other fours straps as well as the part in the waistband where the straps has been sewed in. 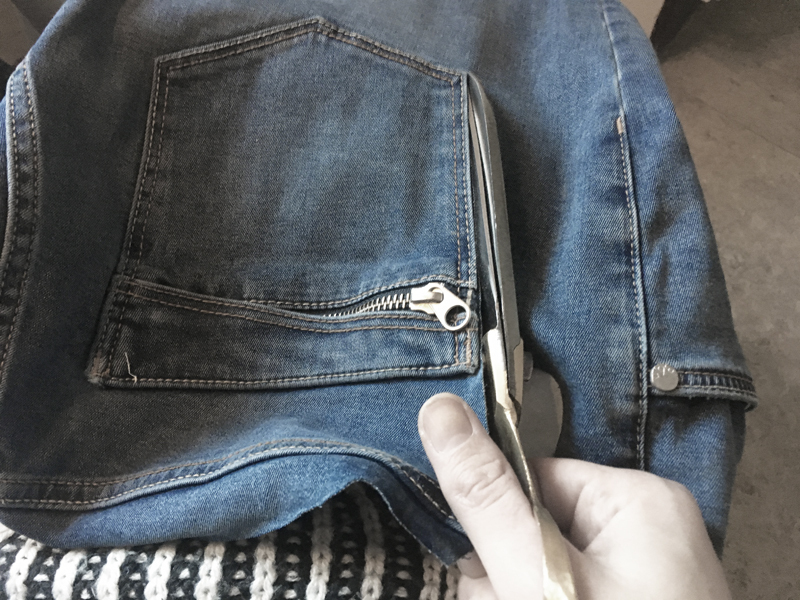 When the straps are detached I gently cut of the waistband from the jeans. I try to leave the parts of the jeans that not will be used for the fanny pack as untouched as possible. You never know when those other parts will come to good use :). I cut out the pockets as close to the seam as possible. The fanny pack is now starting to get it´s shape! 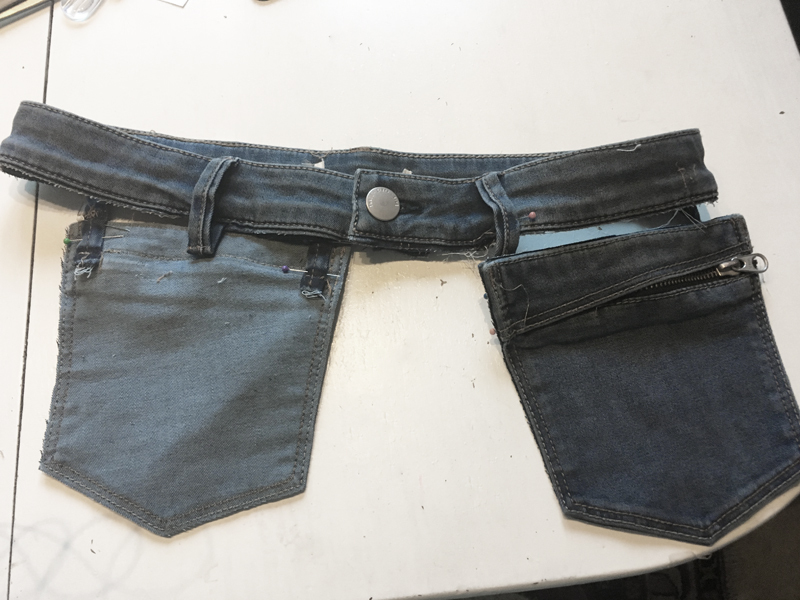 Position the waistband and the pockets in front of you to get a more clear picture of where you want to have your pockets on the finished result. When you have decided where to place the pockets, you pin the straps onto the back (as shown at the picture). I used this part of the process to hide the darker part of the straps (the part which was hidden in the waistband). 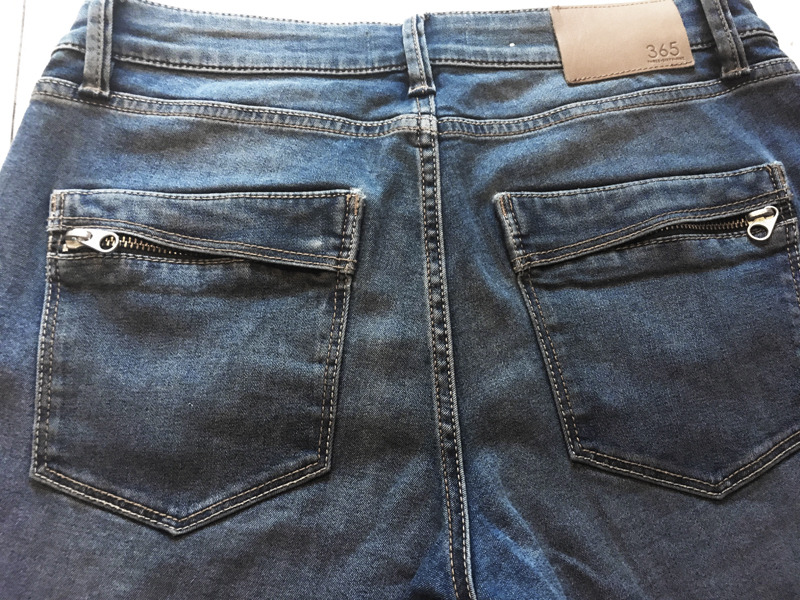 This way you also get a natural space between your pockets and waistband. To get the straps to look good as hanging device i need to angle them sidelong, towards the back piece of the pocket. Subsequently I pin them on. 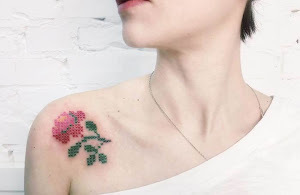 I have chosen an embroidery yarn, in a similar color to the stitches at the jeans, for my stitching. The seam I have chosen is blanket stitch. Blanket stitch is a really useful choice of seam and is a stitch I will be using more when embellishing the fanny pack. 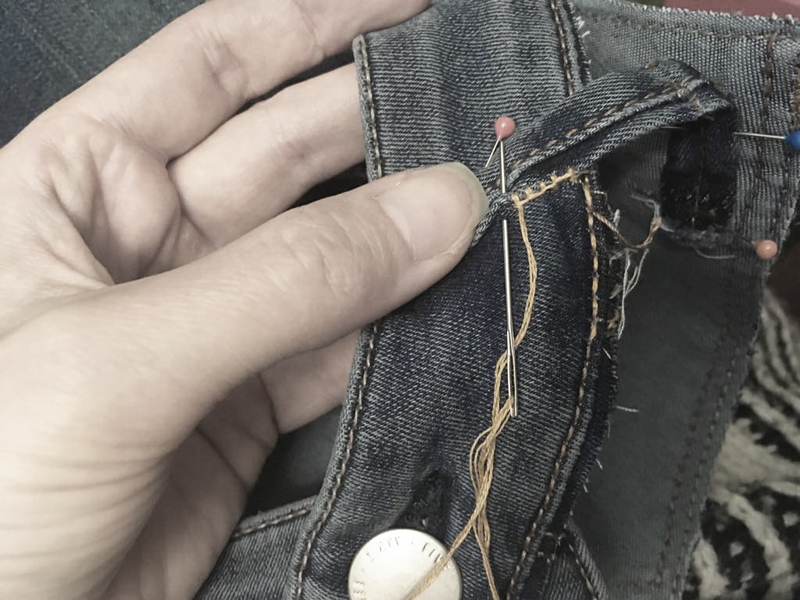 When choosing jeans, keep in mind that you will have to stitch through the fabric and that you would like to do the stitching without hurting your fingers too much. The jeans I have chosen is of denim and in stretch. Where do you want the fanny pack too be placed (the waist, the hips...?). Choose a pair of jeans with the right fit. I was lucky to find a pair of jeans with pockets with zippers. You can just as well use pockets with a button or “regular” pockets. The outlook of the pockets depends entirely on how you want your end result to turn out. It is more fun to cut things than to have to unstitch seams. 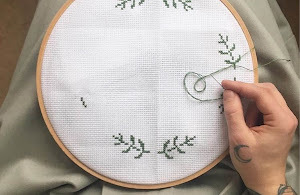 Nevertheless, keep in mind just to cut where necessary, this way you will be able to use the rest of the fabric to other upcoming projects. Stay tuned for the final, decorated result next week!